Let everybody know to save the special date and help them feel that they are important by sending these classy hen night invitations to all your friends. 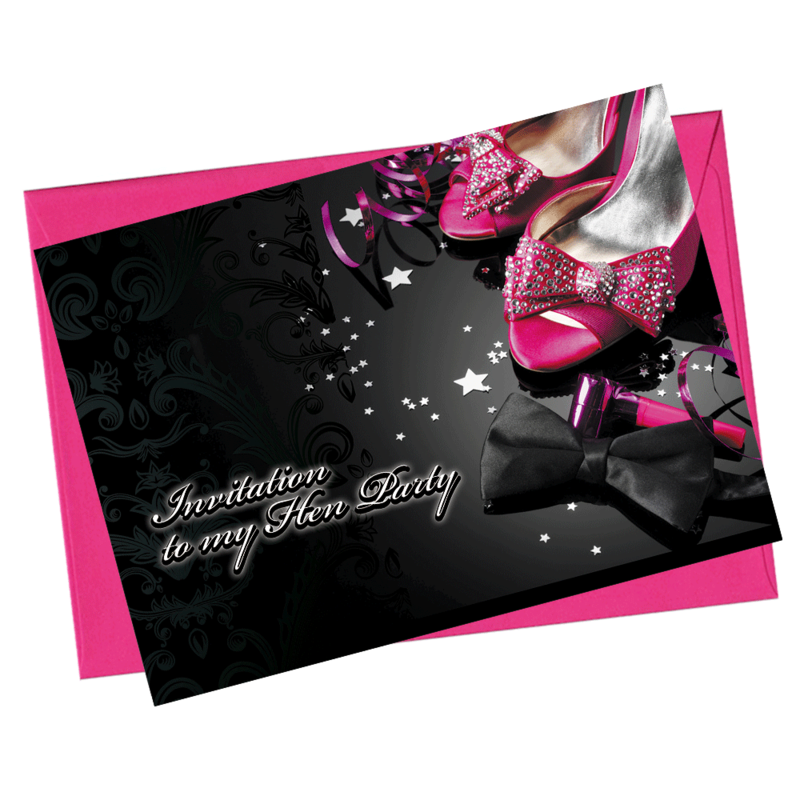 A gorgeous looking hen night party invite with a party shoe detail. The invite is postcard size and comes with details on the back so you can easily just write your personal details into the spaces provided.